Keeping your Twin Disc engine well-maintained is easier to do when you have the right parts on hand to complete your projects. 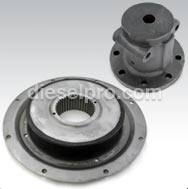 When you are in the market to purchase new Twin Disc MG5090A marine transmissions parts, you can easily find exactly what you need in a matter of minutes when you shop online with Diesel Pro Power. 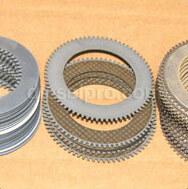 We carry the best selection of Twin Disc replacement parts for a wide range of engine types. You can find parts for the Twin Disc MG5090A or other engine types quickly through our website, and you can relax knowing that your order will soon be delivered right to you without stress or concern. When you spend time exploring our website in detail, you will see how easy it is to find the parts you are looking for when you shop with Diesel Pro Power. 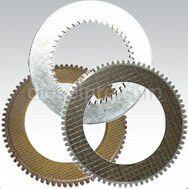 You can find a wide range of Twin Disc MG5090A parts like oil coolers, plates, couplings and more. 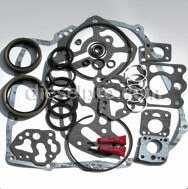 If you cannot find the part you need online, you can expect to receive friendly customer service from our team. We strive to fill all orders within 24 hours of receiving them, and we will ship them directly to your location regardless of where you are in the world. If you are in the market to invest in replacement parts for your Twin Disc MG5090A or for another type of engine, spend a few minutes taking a closer look at our website today. You will love how easy it is to navigate our website and how affordable our rates are. We are committed to keeping our products in stock and ready to ship to you, so place your first order with us today. This is the fastest and most convenient way for you to shop for parts for your Twin Disc engines.